The variability in growth stages could extend flowering, meaning a longer risk period for growers to protect these crops for. In addition, the warmer weather experienced so far this spring, potentially could also increase the amount of inoculum present as sclerotia germinate once soil temperatures reach 10degC, says Bayer. 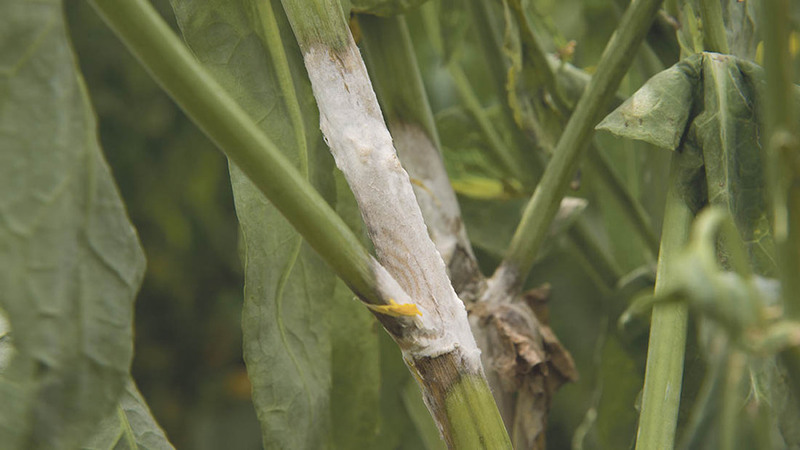 The last severe outbreaks of sclerotinia were in 2007 and 2008, but localised problems occur most years so growers should take steps now to ensure they are accurately assessing risk, and taking protective action where necessary, says Bayer. To ensure efficient action against any development, Ella Crawford, commercial technical manager at Bayer, advises spraying from early to mid-flowering before any significant petal fall. “The weather in this critical flowering period will set the risk for sclerotinia development,” she says. But Bayer advises growers to consider a two-spray approach at high risk sites, where there is a history of severe slerotinia on farm, and/or the duration of flowering is extended, which it says could be the case in crops affected by cabbage stem flea beetle damage. It adds that the first spray can be applied prior to mid-flowering, with a follow up application no more than three weeks after that first application for continued protection.